1. Cut out gluten- this is really key! Just this one thing, hard as it is for most folks to even contemplate, will do more for your health positively than anything else. Really! Once you eliminate this one overwhelming staple of the modern S.A.D. diet, so many things are accomplished! At one stroke, you can begin to heal your intestinal wall, which is undoubtedly leaking into your bloodstream things that you have not digested, and triggering autoimmune responses, which if they are not troublesome now, will be in due time. Things like bad skin, psoriasis, joint pain, migraine headaches, irritable bowel syndrome, and just plain bloating and brain fog. After this phase, you progress to acid reflux, inability to sleep, and creeping obesity. Insulin resistance is next, along with diabetes. All the other autoimmune diseases that are killing us all are next, and you don’t need me to list all the horrors that are out there; horrors that are largely preventable! Hard, I know, but vital- don’t eat bread, cereals, pasta, buns, cakes, pancakes, etc.- you know what I’m talking about! Once you do it for awhile, trust me, it’s not hard at all. You will never be hungry, and on the plus side you can eat wonderful things instead- things like steaks, hamburger, all kinds of meat, butter, cream, unlimited veggies, fruits topped with cream! Also, with simple substitutions, you can still enjoy otherwise verboten items: gluten free pizza, gluten free cookies, spinach pasta with Alfredo sauce, all kinds of wonderful things! Occasional corn chips made from GMO free corn are fine for most folks, as is non-GMO popcorn (I get the Amish variety), loaded with butter and sea salt. In fact, the last time I went to the movies, (seniors get free popcorn on Tuesdays here! ), I brought a little glass container of grass fed butter that I had microwaved just before I left to melt. I also added sea salt! When I got to the theater, I got my free popcorn (uncontaminated with disgusting vegetable aka industrial seed oil fake butter), and poured it on top. Wonderful!! The other side benefits of giving up gluten? You will lose body fat, quickly! 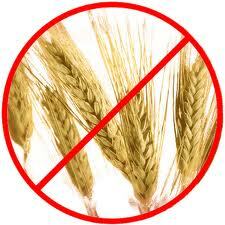 Carbs like wheat instantly turn into sugar, right in your mouth. Give them up, and you are on an instant low sugar diet without even trying! In addition, your dental health will improve dramatically. The wheat products just feed the bacteria you do not want in your mouth, decaying your teeth and setting up colonies of infection in your gums. Really, the oral benefits are enough that if this was the only benefit you got from giving up wheat, it would be well worth it! In addition, by giving up wheat, you free up your diet for much more nutrient density, that is much more nutritious foods can be eaten, now that you are not stuffing yourself with empty, actually damaging crap fake foods like those made from wheat. I think that’s enough to digest for now, paleoista. Just give up wheat, starting now, until next Wednesday. Then, I will tell you more, grasshopper. In Paleo Basics 2! If you want everything easily laid out, just go to www.paleojay.com and click on my paperback book, PaleoJay’s Smoothie Cafe link. Everything is laid out in a highly accessible format therein, and is easy to digest. And check out my new CD PaleoJay Plays On! while you are there. Cutting gluten heals the body, but music heals the soul!